You should know that is is important to have your heating and cooling system checked and maintained regularly to avoid any problems or issues that could interrupt your business. Heat and air conditioning units are important aspects of any company. Commercial buildings and offices can be spacious, therefore can be harder on the heating and cooling systems than in a home. Finding a light commercial HVAC company that you can trust can be priceless. We provide a fast and reliable light commercial heating and cooling service for as little interruption as possible, because we understand how important these amenities are. Our heating and cooling services are offered to funeral homes, churches, restaurants, office buildings, and all types of small businesses. 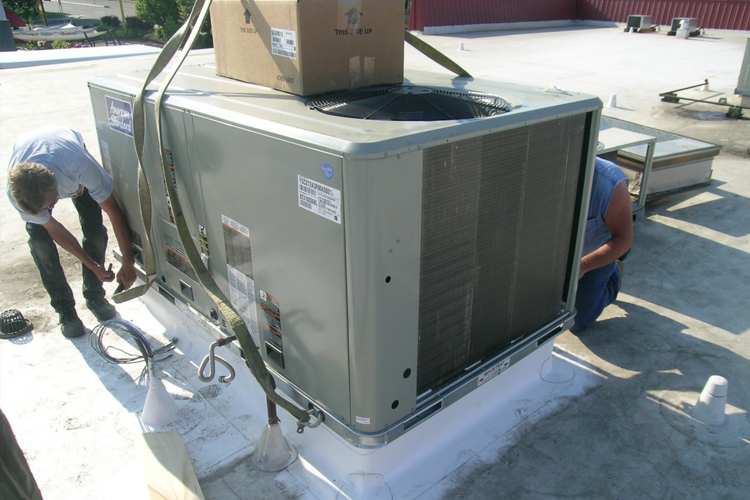 We offer commercial heating and cooling repair, installs, and replacements. Also, commercial refrigeration services, freon recharge, and ice maker repair services. We are the North Georgia area's #1 commercial air conditioning and heating contractor offering a full service on commercial cooling, heating, and refrigeration equipment. "After dealing with high energy bills and a business that never stayed comfortable, I finally contacted Phil Cool to come and install a brand new heating and cooling system. Without a doubt, that has to have been one of the best decisions I've ever made."